Which test would you rather use? 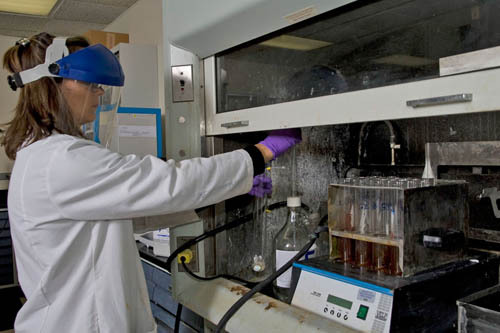 Lower your chemical waste disposal costs and make your lab safer. 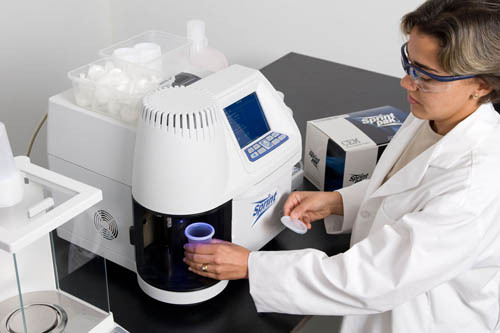 Be certain that your products are meeting your quality specifications, reduce your hazardous waste and make your lab safer with the award-winning Sprint Rapid Protein Analyzer. Our environment-friendly, easy-to-use systems give you fast, accurate results you can depend on every time. With its rapid test time and low cost per sample, Sprint can help you run your process at optimal conditions and lower your analysis, water usage and hazardous waste disposal costs. Less re-work because Sprint gives you a protein value soon enough for you to make a change to your process. Use our payback calculators to help you find out how much Sprint can help you improve productivity. Kjeldahl versus SPRINT™ Cost per Test Comparison The cost per test for the SPRINT™ is $3.55 and about 3 minutes per test. If a laboratory performs one Kjeldahl test per day the cost is $8.03, and if 20 tests are made per day, the cost is lower, $7.23. At 50 tests per day the cost is down to $6.83.